“Law’s Picture Books: The Yale Law Library Collection,” September 13-November 18, the Grolier Club, New York City. 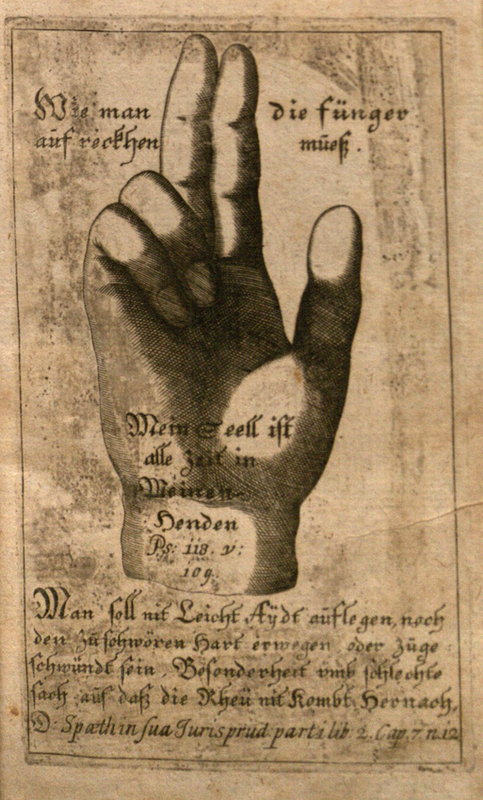 Illustrated law books? The term may seem like an oxymoron. After all, law is conceptual, analytic, and so very wordy! Yet the object of law is actual human life, and its practitioners mediate between abstract rules and the real world of people and things. This tension has given rise to a surprising figurative impulse in legal publishing—and to law’s picture books. The books on display in this major exhibition contain a beguiling diversity of images that stand on their own and in dialogue with their accompanying text. Organized according to ten functional purposes which legal illustrations serve, the exhibit reveals a deep, longstanding figurative impulse in legal publishing, and it showcases books that overflow with beauty, intrigue, and life. Browse pictures of the exhibition on the Grolier Club Flickr gallery. Take a virtual gallery tour. See the opening night reception. See a video about putting the exhibit together. Order the 220-page, full-color, award-winning catalogue. 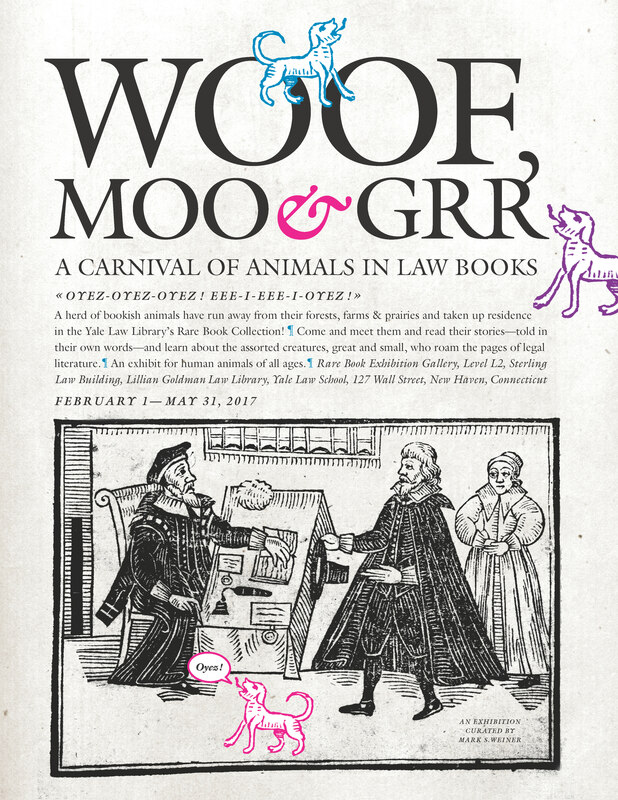 “Woof, Moo & Grr: A Carnival of Animals in Law Books,” Rare Book Room Exhibition Gallery, Lilian Goldman Law Library, Yale Law School, February 1-May 31, 2017. Oyez-oyez-oyez! Eee-i-ee-i-oyez! A herd of bookish animals have run away from their forests, farms & prairies and taken up residence in the Yale Law Library’s Rare Book Collection! Come and meet them and read their stories—told in their own words—and learn about the assorted creatures, great and small, who roam the pages of legal literature. For human animals of all ages.